Oh September! The beginning of pumpkin spiced lattes, big blanket scarfs, boots, and amazing fall fashion. Don’t get me wrong, I love summer style but I also REALLY love the fashion and trends that come along with fall. 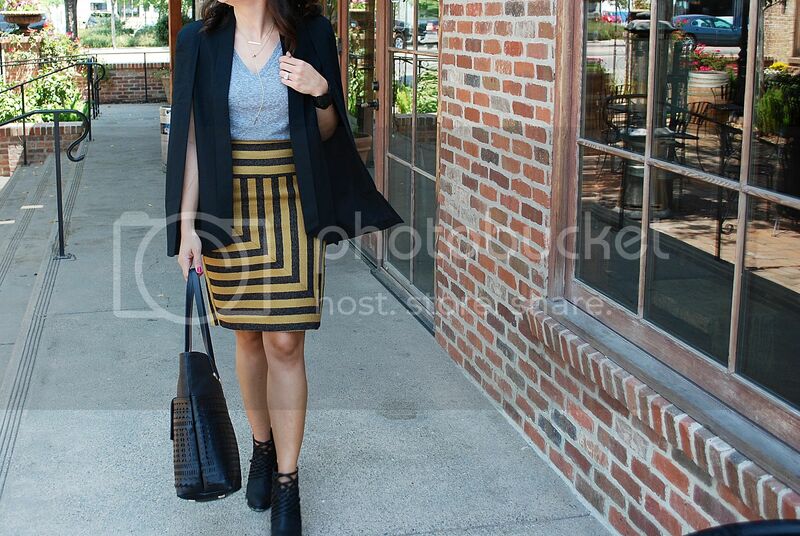 This fall season there are some fun trends that are creating a lot of buzz, one of them being the cape blazer. It has the chicness of a simple black blazer but with slits in the side creating the look of a cape. SO fun! 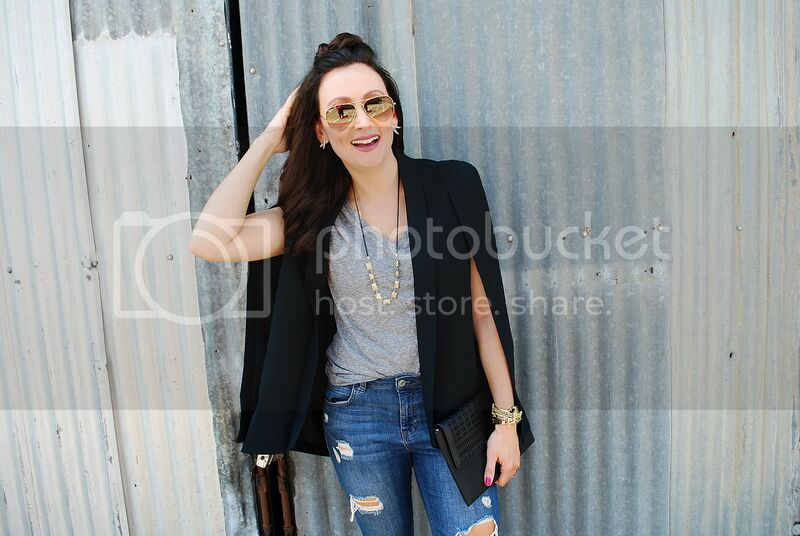 The best part about the style of the cape blazer is that it versatile and easy to transition from day to night. Pair it with a high waisted pencil skirt and a simple T-shirt for a day at the office. 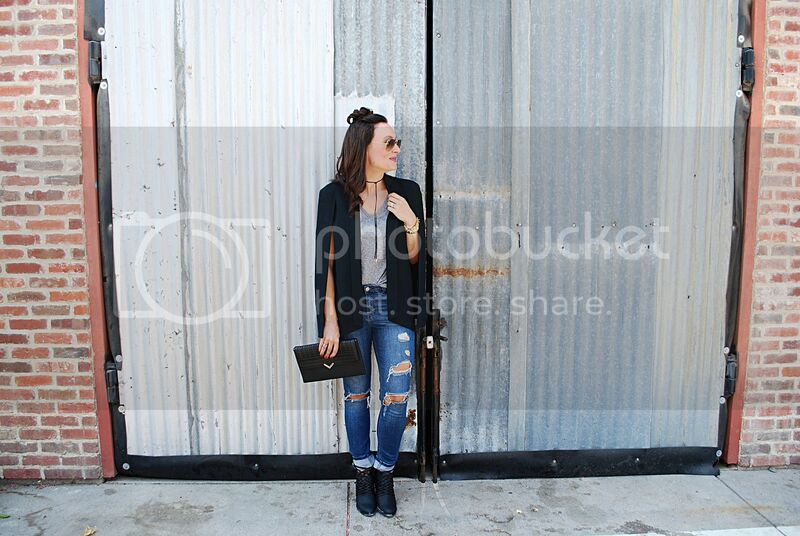 Switch out the skirt for some distressed denim and you have the perfect look for happy hour after work with the girls. 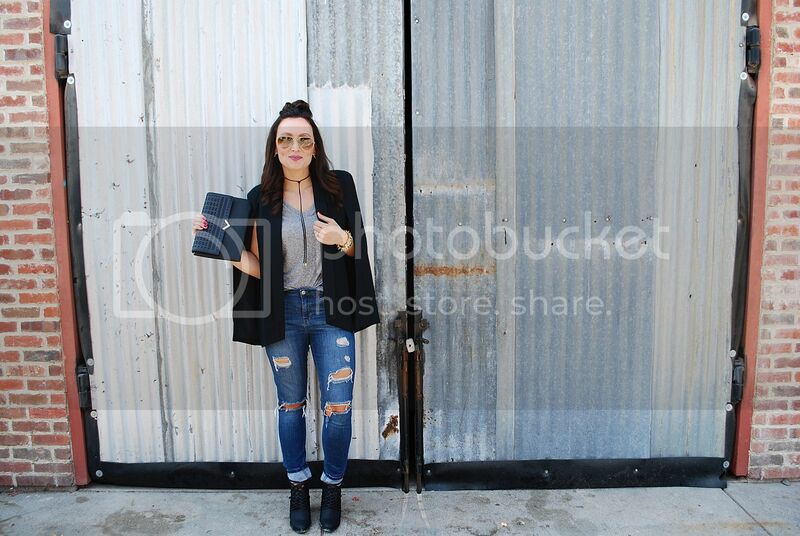 I love pieces that are simple and can be worn multiple ways all while looking trendy and chic at the same time. If you follow me on Instagram (@ashdonielle) or Snapchat (@adonielle), you know that I’ve been totally obsessing over the new Stella & Dot Reese Sparkle Necklace. 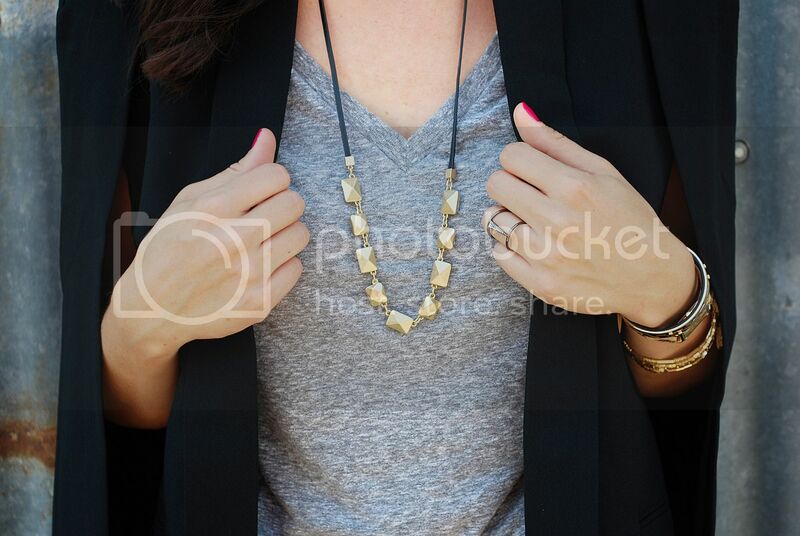 So many ways to wear it, perfect for fall and such a trendy piece. 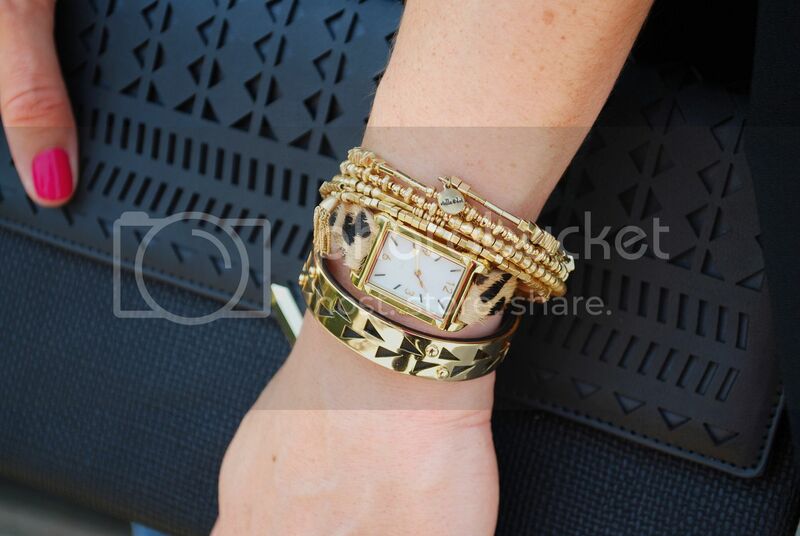 You can wear it longer with the sparkle either showing or the solid gold showing, like the picture above. 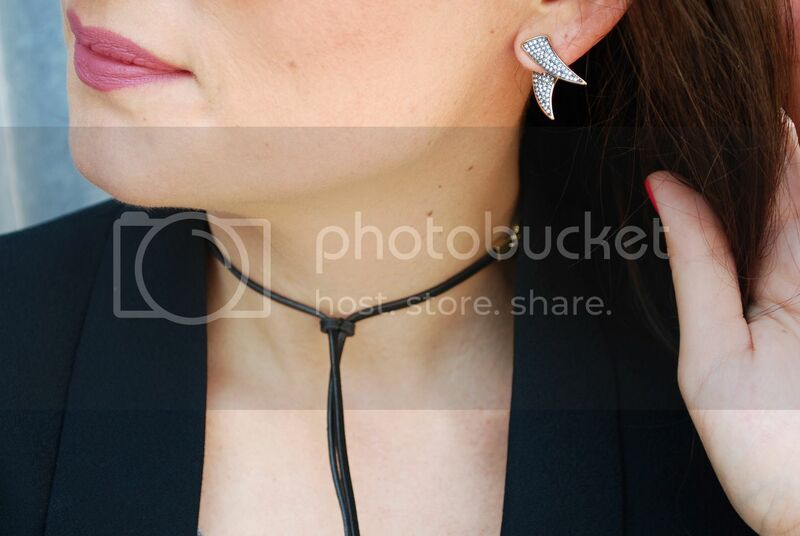 OR you can wear it backwards as a choker with the genuine leather tassel showing, like the picture below. You can also wear it as a headband, as a choker with the jewels showing, etc. The list goes on. This piece is a necessity for my wardrobe right now. This bag. As if the picture doesn’t do it enough justice. I love using this tote during they day then removing the clutch for a night out. Less to carry, still as chic. 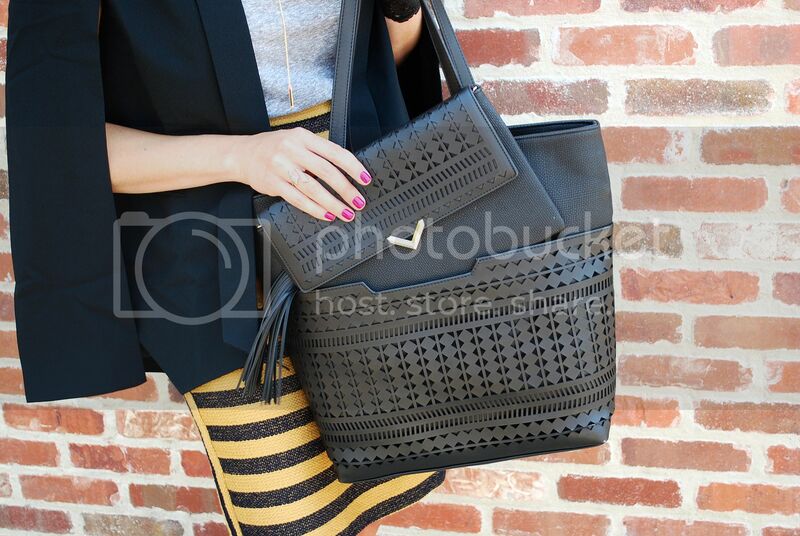 And just look at that cut out detail around the bottom of the bag. GORGEOUS. Well, there you have it. 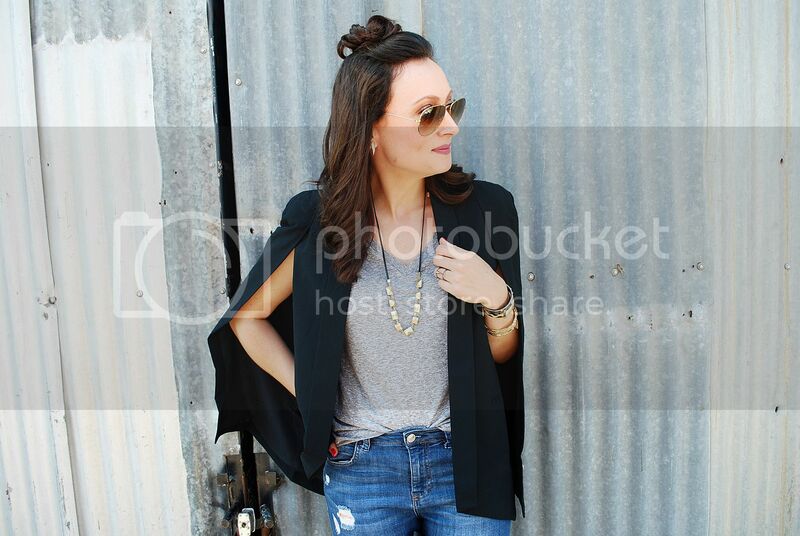 The cape blazer, a new trend this fall season that is classic, chic and totally a fun piece to style and wear. The one I’m wearing is from Target and under $40. You can find it here. I’m also loving this light grey one, this other structured black one, this one in bright red, and this one in burgundy.